London: Epworth Press 3rd imrpession, 1943. Hardcover. Good. Two nice wood-engravings to paste-downs signed "E.P.L." ploughing with horses & farmyard. Octavo blue cloth (cloth very faded and browned to edges/tips worn/rubbed) 251pp inscription on pastedown else V.G. Cheltenham: S.Y.Griffith & Co. Chronicle Office, 1826. Hardcover. Very Good. Copperplates (5) + 2 folding plans, drawn by C. Baker, Surveyor, Engraved by S:Butler, Bristol (2nd plan Sc. by T. Radclyffe). Volume II (of II) Octavo newer red calf spined boards with original spine label, iv +288pp + advert page for Quarto edition. 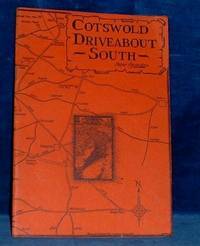 Cheltenham: Reardon & Son 1st edition Driveabout series, 1978. Softcover. Very Good. Illustrated with drawings by Peter Reardon. Octavo red pictorial card covers 32pp V.G. Bristol: Bristol & Gloucester Archaeological Soc, 2000. Hardcover. Fine/Fine. Royal octavo 248x165mm black cloth with gilt lettering in dark blue dust jacket. Transcript & Consolidation of the six extant versions of the comprehensive Survey of the Diocese first undertaken by Bishop Benson in 1735, noting corrections & changes. 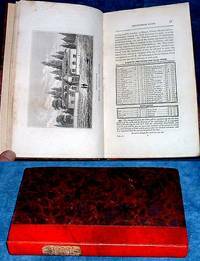 Tabulation of 329 Parishes & Chapelries; chronological lists of incumbents with value of Livings and Queen Anne's Bounty. Charities & endowments for Church, the poor & schools. The Survey gave particular attention to the extent & nature of RELIGIOUS NON-CONFORMITY. Scholarly modern historical interpretations & explanations. Extensive modern Index of Persons & Places; Index of Subjects. In new condition. London: Bell & Sons Cathedral Series 3rd edition, 1908. Hardcover. Very Good. Photo illustrated (49) with plan & text illus. by Edward Burrow some dated 1894 Post octavo green decorated cloth (tips slightly rubbed) (4)133pgs. About a dozen post-cards, photos, etc. illustrating the cathedral mounted on blank-versos of plates (some with cellotape); otherwise a clean & tight copy in very good condition. Winchcombe Glos, 1953. Hardcover. Very Good. PRESENTATION COPY FROM THE AUTHOR octavo cloth spined boards 38pgs *includes some verses written by Louisa May Alcott, authoress of "Little Women", probably not elsewhere published, written for Miss Willis & her brother while they had the measles. London: Hale 1st edition, 1981. Hardcover. Very Good. Maps (70) & 60+ illustrations by Alfred Newman PRESENTATION COPY signed by both the Author and the Illustrator octavo pictorial boards (tips slightly rubbed) 256pp V.G+ with 41 walks from 1.5 to 15.5 miles. Cheltenham: Cheltenham Newspaper Co, 1928. Hardcover. Very Good. Over 400 photographs by Bright Quarto blue cloth gilt lettered (tips sl.worn, edges discoloured/sunned & marked) 384pgs, Inscription on FEP, EPs slightly foxed, the illustrations are on highly glazed china paper else V.G but thus very heavy. Stratford: Ward et al, 1806). Hardcover. Very Good. Aquatints (8) in sepia Octavo contemporary half calf with red spine label (tips rubbed) ii+229pgs *Subscription list slightly foxed else V.G with Victorian bookseller's miniature label on FEP. Bristol: B&G Archaeological Soc, 2001. Hardcover. Fine. Arge octavo black cloth in blue dust jacket xxxii+343pgs, Mint condition. London: Bell, 1850. Hardcover. Very Good. Hand colored plates(8) + 6 plates & text illus. Quarto original limegreen gilt cloth (relaid/spine lacking below the title/cloth browned to spine and edges/marked/lower corner bumped) Top Edge Gilt xxiii+155pp with Subscribers list. Eastcourt Library label & name stamp on FEP a neat clean copy with the fine Roman pavements beautifully hand colored. Cirencester England: Prep.Meet Soc.Friends 2nd impression, 1973. Softcover. Good. Plates (6) PRESENTATION COPY from author square octavo grey card wraps (damp-marked) viii+58pg leaflet Joyce Barker "Notes of Architectural History of Friends Meeting House" laid-in.